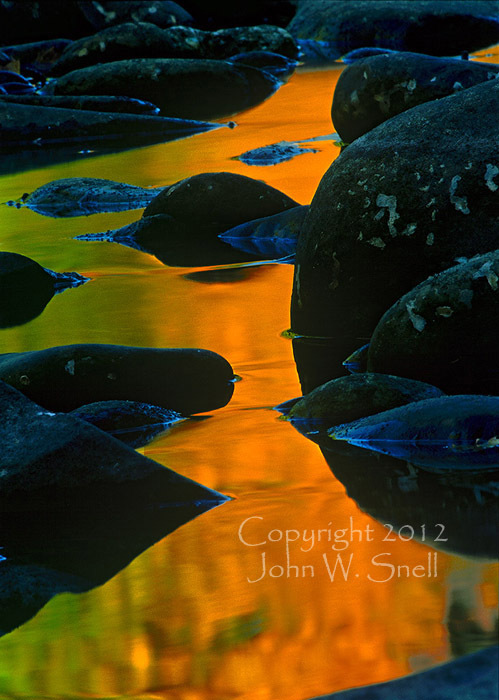 The color reflecting between the rounded stones of this West Virginia stream was fall foliage brightly lit by late afternoon sun. The blue tinge edging the stones is the reflected sky. Yes...the original film really looks like this!